Determination of Orissa’s main mainstream daily ‘The Sambad’ to strengthen Oriya literature has finally entered into family festivities, which would revolutionize the literature campaign, said the Chief Guest, Journalist Subhas Chandra Pattanayak, who is marked for having released all his books on important days of his family festivities, specifically on birthdays of his children and grand children so far. 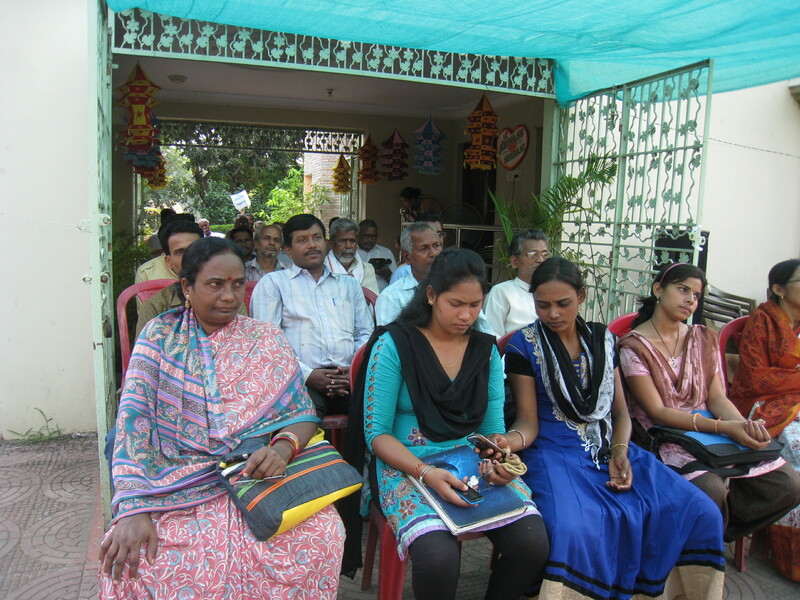 Eminent educationist Kailash Chandra Nayak, in his house premises at Mirzapur, linked the endeavor of Sambad Sahitya Ghar (SSG) to associate every household with Oriya literature by celebrating his grandson Phalguni’s birthday with a conference of poets under the banner of SSG, Rasulpur chapter, which he heads. Pattanayak recalled how India had woke up against the arbitrary rule of the British by patriotic songs and poems by her bards of the struggle and called upon poets to now devote their pens to transmit the message of freedom, the fight for which, is to commence anew. He lauded the Sambad chief Soumya Ranjan Patnaik for having launched the SSG, which is the most appropriate campaign for our mother tongue in contemporary Orissa. 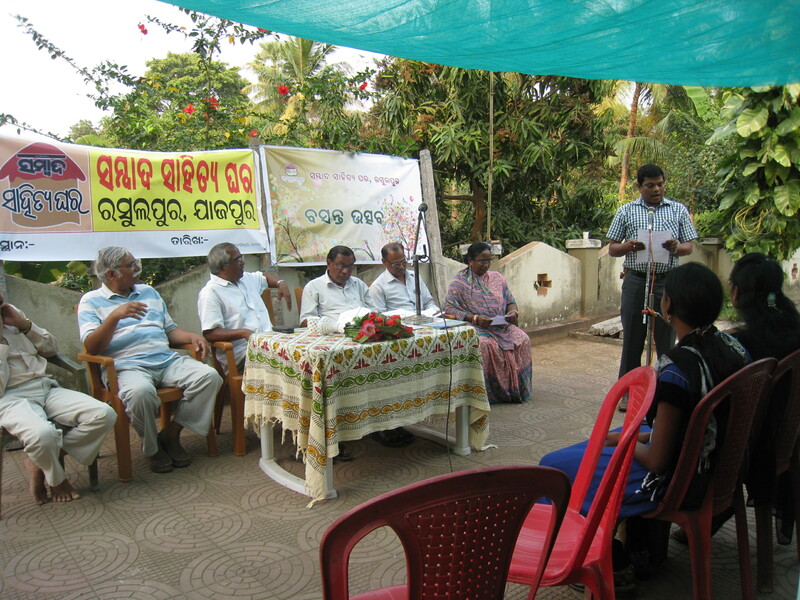 Presided over by Sri Nayak, the Sahitya Ghar conference was addressed by Guests of Honor – Rudranarayan Prusti (President of Jajpur Yuva Lekhaka Sammilani) and Sangram Singh (Jajpur District Representative of Sambad). Secretary of SSG, Rasulpur, Prahallad Panda and poetess Anjumala Jena coordinated the poem recitation session. 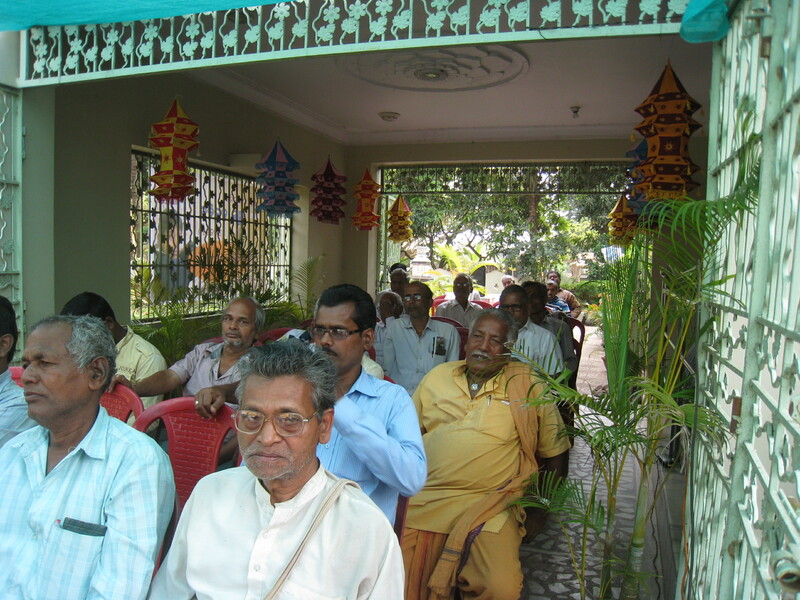 As many as 44 poets of the locality, who are members of the SSG, Rasulpur Chapter, including Nirmal Kumar Giri, Bidyadhara Sahu, Nrottam Sahu, Pramod Kumar Dash, Pandav Charan Das, Prabhati Khuntia, Nirmal Kumar Das, Sridhar Sahoo, Santosh Kumar Padhee, Sanatan Guin, , Pramila Devi, Nyamat Ali Khan, Achyutananda Patra, Anjubala Jena (Co-ordinator), , Kailash Chandra Nayak (Presiden, SSG, Rasulpur Chapter), Prahalad Panda (Co-ordinator), and Namasya Nayak recited their poems. Pabitra Mohan Maharatha and Subhas Chandra Pattanayak were the two guest presenters of their poems matching the occasion. It is remarkable that most of the poems, in the context of India’s future generations symbolized by Phalguni, whose 12th birthday the poets were celebrating, besides being letters of blessing to the boy, were revolutionary poems addressed to dreams for the future. 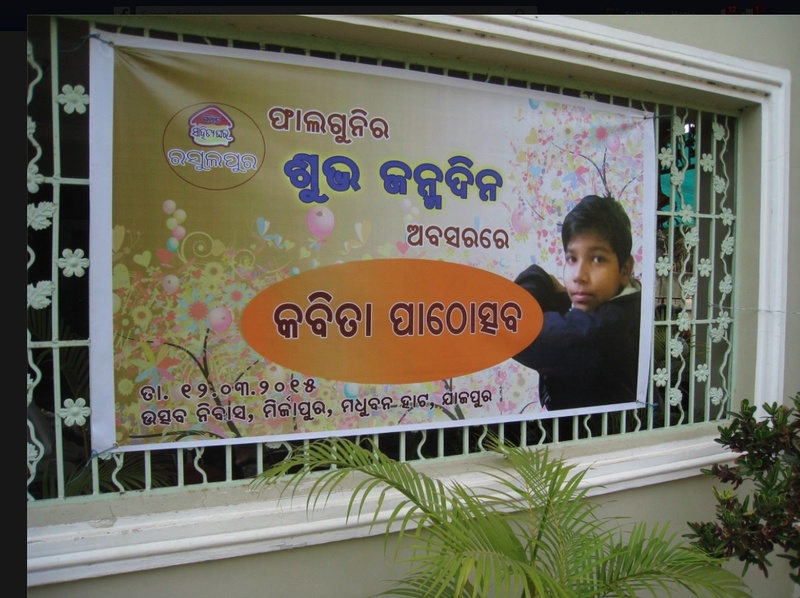 Young author Achyutananda Patra proposed vote of thanks, when Journalist Devi Prasanna Nayak, father of Phalguni, had introduced the Chief Guest and the Guests of Honor. It is the greatest pleasure for my family. Sri Subhas Chandra Pattnayak, chief of this news portal not only graced the festivity but steered it, rural literature is being sprouted to festivities through Sambad Sahitya Ghar to the GLOBE. One should appreciate the programs like this.The details covered along with some photos added pep to the event.Last month,we have conducted a poetry recital at our place on the occasion of a friend’s marriage. Many thanks Mr. Murthy for the nice input. It has striking similarity with the Phula Sabha (Event of recitation of poems)in Oriya marriages as depicted in the article. I am really very happy to know of the recitation of poems alsi in the marriage function you have mentioned. Posting of the event in ORISSA MATTERS is aimed at sharing the inspiring association of family ceremonies with literature. Thanks again for the kind appreciation and the information.